The children of the Diamond Government School (DGS) were all smiles recently, when they received a donation from the SVG Association of South Florida. 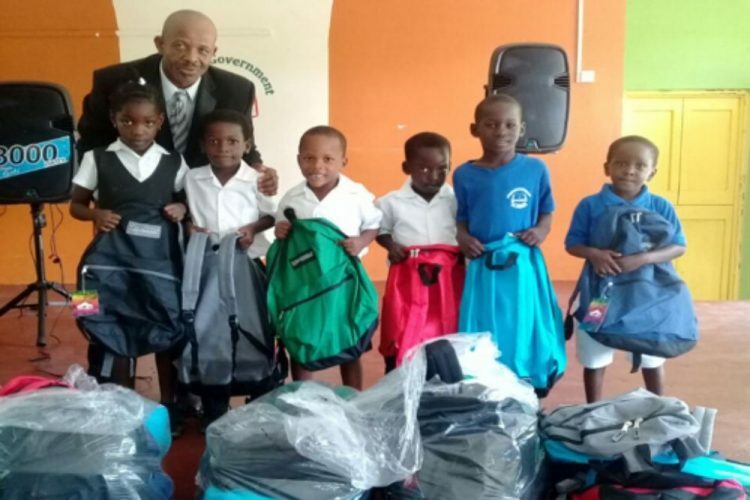 Fifty school bags filled with notebooks, loose leaf papers, crayons, markers, pens and pencils were distributed on Friday, October 20, by the associationâs representative, Trevor Caine. Caine, a former resident of Diamond, distributed the donations to students in Kindergarten, through to Grade 6. The Association vows to make another donation to those 57 students who did not receive any supplies. Caine mentioned that other items, including equipment for the schoolâs kitchen, have already been shipped to be distributed to the school. Acting head teacher, Hannah Greene Harry, expressed gratitude for the donation.